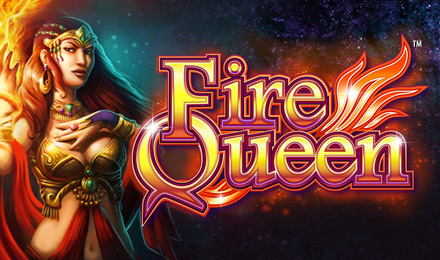 Take on the Fire Queen to get to your treasures in this unique 11 reel and 100 payline video slot game. Venture into the magical land and spin to win today at Mon Games! Good luck! Fire Queen Slots has a unique 11 reels and 100 paylines. The enchanting game is centered around the magical Fire Queen who is trying to protect her treasures. There are multiple ways to trigger your FREE spins, and loads of FREE spins to be won! During your free spins bonus, if a Fire Queen symbol is spun on reels 9, 10 or 11, it will take over the whole reel! Plus, you can get even more FREE spins if you get 3 mystic balls on reels 9, 10 and 11. There are loads of chances to win in this enchanting video slot game.